This review was originally posted here back in January, but as you can see from this CNN article, it’s worth a re-read and a repost. When choosing non fiction to read, I have a weakness for books about class action lawsuits, or cringe worthy lawsuits where someone sued someone else for hurting their pride or their feelings. Not only is it fascinating, but the ruling often effects the country at large, even if they don’t know or care what’s going on. Enter Alison Bass’s Side Effects, about the antidepressant lawsuits of the 90’s. She’s not (and I’m certainly not) saying antidepressents are bad. They help a lot of people, and if they help you or someone you love, do not stop taking them without consulting your doctor. The problem is with how the pharmaceutical companies go about testing and marketing their drugs. During investigations, it was found that some pharmaceutical companies buried studies showing their drugs could cause suicidal thoughts in young people, or that the drugs didn’t work as well as older, cheaper drugs. Also, many universities and hospitals were doing the actual testing of the drugs, and were desperate for funding from where ever they could get it. The funding often came from the maker of the the drug. If the university’s studies came back with negative results, they put their funding in jeopardy, so there was intense pressure to give the drug companies what they wanted. it brought “conflict of interest” to a whole new level. This review was originall posted here. They say that Raven created our world to have someplace to be flying. Myths were once stories, which were once histories which were once actions. Otherwise, where would the stories have come from in the first place? 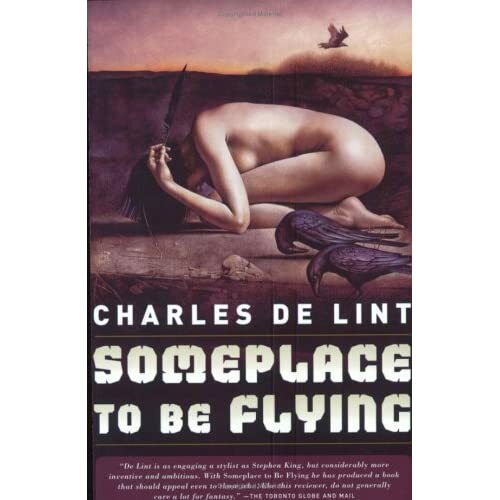 Known for often intertwining Celtic mythology with an urban punk or fantasy plotline, Someplace to be Flying instead uses Native American mythology has it’s foundation. DeLint seamlessly blends Native American mythology with his urban style for a story of bohemian characters who are going to save the world, even if it kills them. Introduced early on to two young sisters (friends? cousins?) who claim to be “bird people” of some kind, it’s easy to believe they are just punky teenagers who live down the street, of course they don’t live in a tree, or kill bad guys in an alley, because that would be silly. And then, there are the (mostly) normal people: Kerry, a young art student recently released from a mental institution, Lily a photojournalist who seems to be finding trouble around every corner, Hank, a gypsy cab driver who also finds trouble everywhere he looks, Katy, a homeless redhead who is convinced her sister is going to kill her, Rory, a journalist who wants to be an artist (or is it the other way around?) a collection of other odd ducks, and of course, there is Jack. I read China Mieville’s The City and The City in three days. A good thing in many ways – after day one I couldn’t put the book down, but every time I dozed on the sofa I would wake up Beszel, which started to freak me out. How to describe Mieville’s fictitious Beszel? As far east in Europe as you can get, perhaps Azerbaijan or Georgia. Old churches mixed with cold war architecture, mohawked punks listening to pirated western music sitting next to babushka’d grannies on the bus. And then there is the other city, Ul Qoma. The Ul Qomans might not have as good a relationship with America as Beszel, but Ul Qoma has nicer cars, a modern subway system, urban renewal, better restaurants, brighter colors, and is generally more contemporary. Two sister cities with formal borders and mulititudes of paperwork for people who wish to travel to the other city. This wouldn’t be so odd, except the two cities are crosshatched – a unique invention of Mieville. Your house might be in Beszel, but your front sidewalk is in Ul Qoma, along with the northern half of your child’s elementary school. And those three blocks of Ul Qoma down the road? That one building on the corner has a Beszel mailing address. Residents learn from childhood to “unsee” and “unhear” things happening in the other city, even if it’s happening right in front of their eyes. Tourists and visiting students sit through weeks of orientation to learn how to unsee and unhear. a version of this review was first published here. 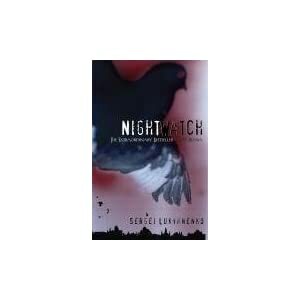 Suspenseful and smart, Nightwatch is comprised of three episodes narrated by Anton, a Nightwatch analyst become fledgling field agent. Anton is charged with saving the girl (and guy), scaring the bad guys, and getting information out of people through coercion, cooperation, or plain investigative and guess work. If Steven Brust’s Vlad Taltos character woke up in Danny McBride’s Underworld movie with a little bit of X-Men, and Hellboy mixed in, you might get something like Nighwatch. This review originally appeared on Worm’s Sci Fi Haven. It’s a book I read and reviewed a few years ago, see the bottom of the entry for some later notes on this series. This book was supposed to be an escape. It was supposed to have nothing to do with science fiction, or fantasy, and I wasn’t planning to write a review of it. But before I knew it, I was sucked into the story, impatiently trying to get to the next page, hoping no harm would come to anyone I cared about. This isn’t science fiction, and if you think fantasy has to involve magic or elves, then this wouldn’t qualify as fantasy either. 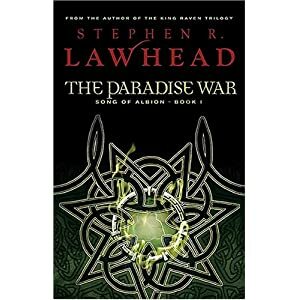 From reading Byzantium, and the Pendragon Cycle (King Authur & Merlin), I know Lawhead to be a superb history fiction/mythic fantasy writer. He leaves no stone unturned in his quest to bring the myths of human history to life. The Paradise War is no different. The story starts in a most unexpected way – with two graduate students at Oxford. Lewis, an American, is thankful for every pound of grant and scholarship money he can get to keep himself in his studies, and Simon, who is at Oxford because that’s what rich British boys do before living off their families fortunes. Through an odd course of events, Lewis and Simon find themselves at a gateway during the times inbetween times. Falling through the gateway, they end up in the archetypal Celtic mythic world: Albion.